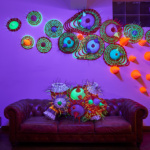 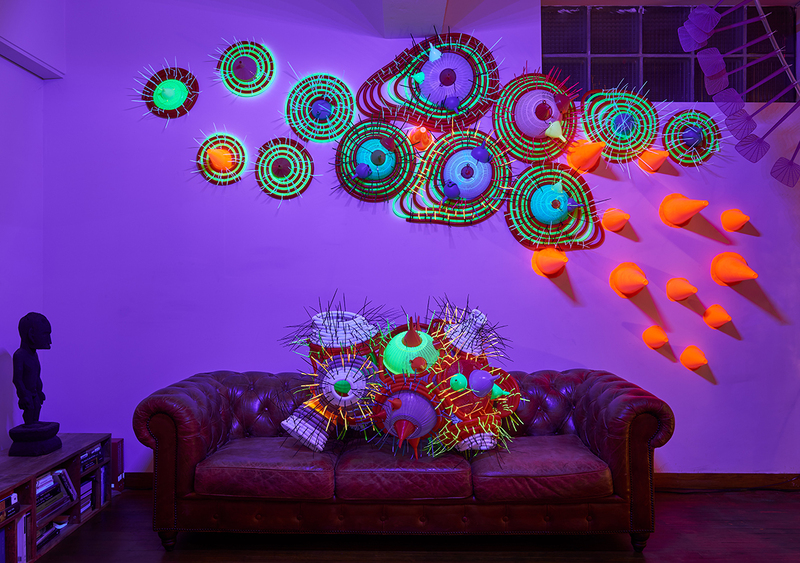 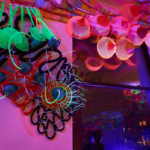 Filipino artist and designer Leeroy New has created a fluorescent installation in Pintô International’s new gallery space in New York City’s East Village. 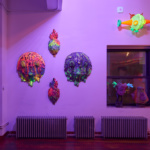 After a two-week residency in February 2019, New created the sculptures along with multi-colored costumes that performers have donned while traipsing around Lower Manhattan. 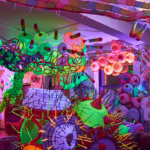 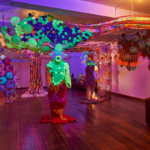 Aliens of Manila: New York Colony has a sort of psychedelic, fungal look, as though prosaic objects had somehow mutated into funky new lifeforms. 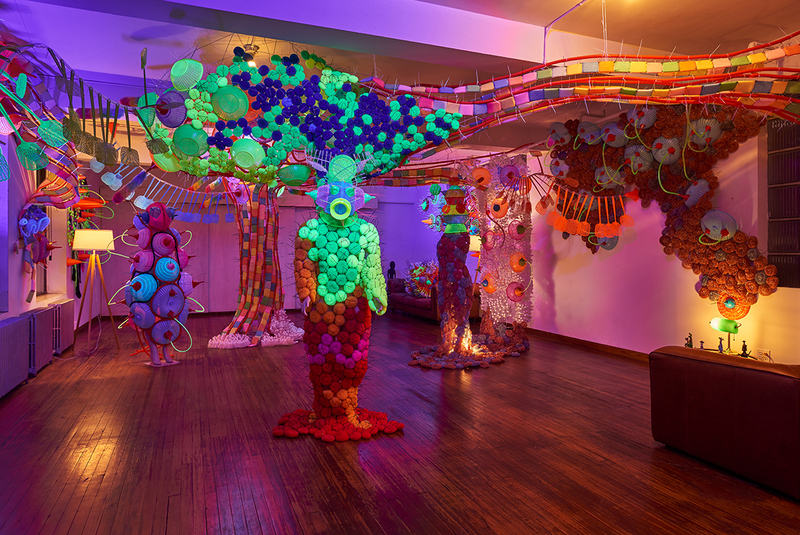 Both the sculptures and the costumes are made of cheap plastic home goods and fabrication supplies like zip ties and fiberglass strips. 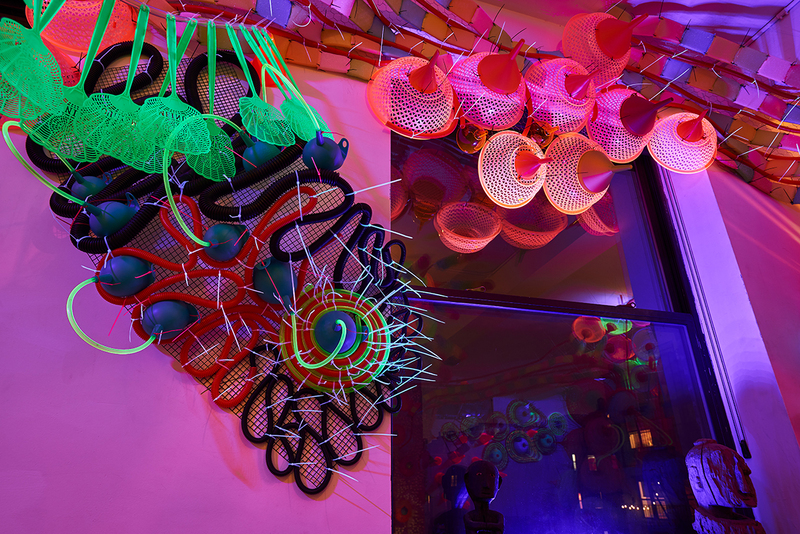 The photos of performers on the street are part of the artist’s broader Aliens of Manila project that “speaks to the wider experience of cultural displacement but is profoundly informed by the artist’s own familial experience with the phenomenon of what he refers to as ‘OFW’—Overseas Filipino Workers.” The photos show people in the costumes popping against the backdrop of day-to-day activity in New York City. 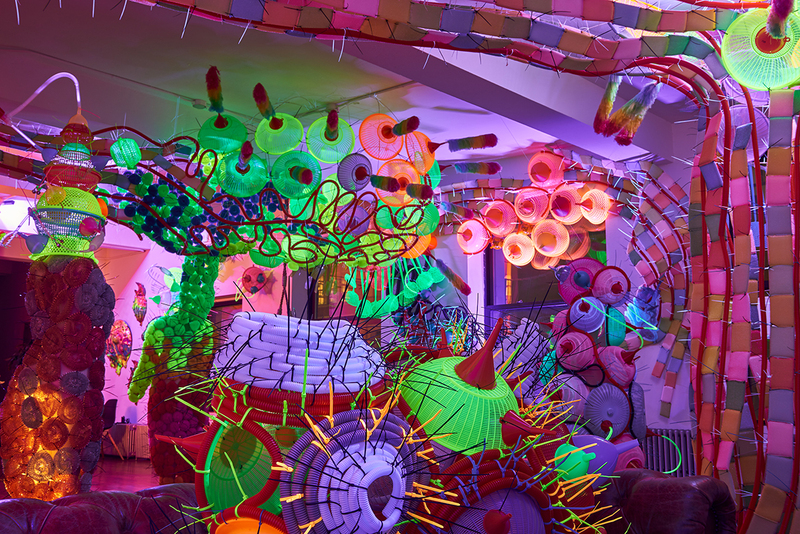 Pintô International is the new space from the Phillippines-based Pintô Art Museum, a museum that collects and exhibits the work of many prominent local artists. 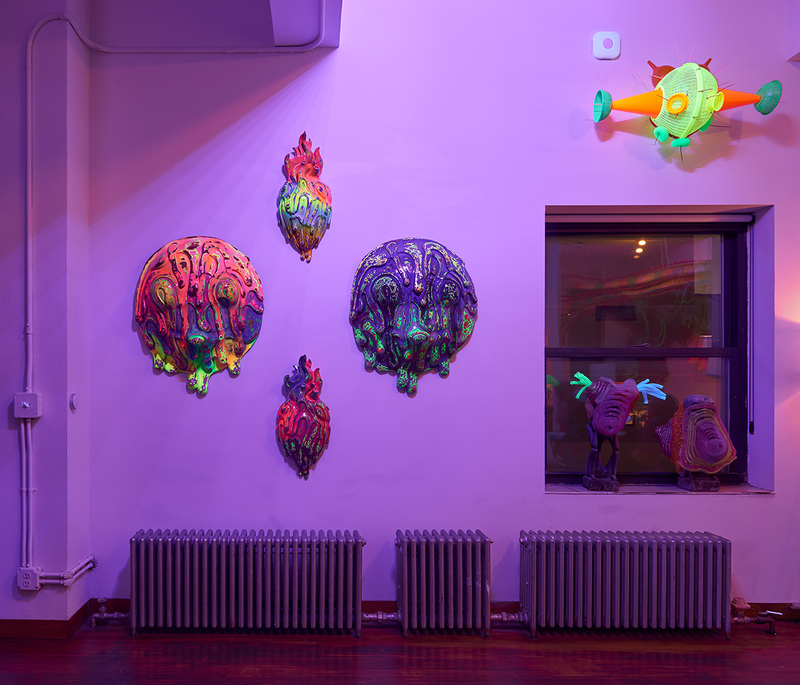 Aliens of Manila: New York Colony marks the launch of a quarterly exhibition schedule, an artist residency, and a monthly Pintô Sessions event series.